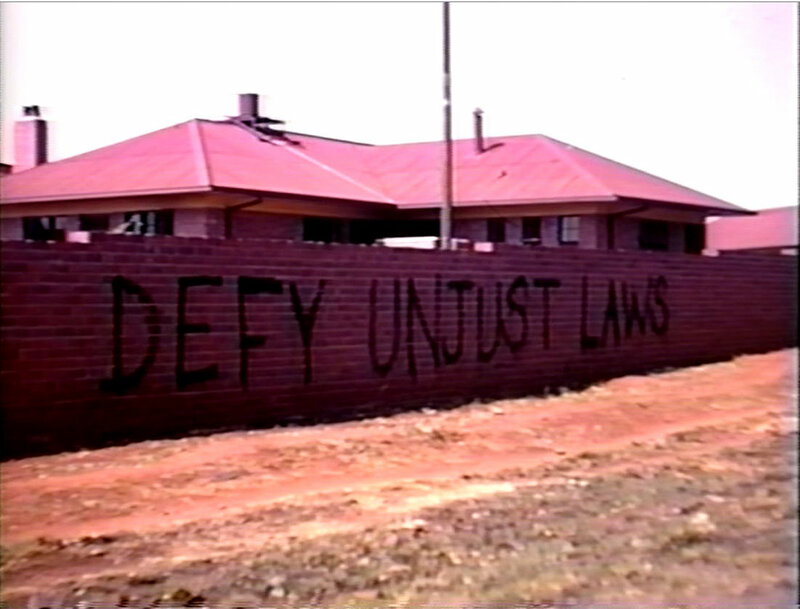 Photograph of a slogan of the Defiance Campaign Against Unjust Laws of the African National Congress (ANC) that was presumably painted in 1952 or early 1953 during the campaign. The photograph was taken by George M. Houser, a founder of the American Committee on Africa (ACOA), during a trip to Africa in September 1954. After returning to the U.S. Houser became Executive Director on ACOA. 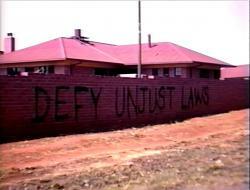 Houser did not get into South Africa again until the 1990s.